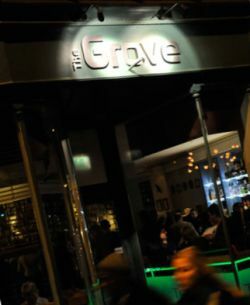 Borough of Poole: Thanks to Pure Town Planning, the party can go on for longer at The Dancing Grove (formerly The Grove) in Ashley Cross, Poole. We have recently secured planning permission for this restaurant/bar located in bustling Ashley Cross to extend its opening hours on Friday and Saturday, to match nearby competitors. The Dancing Grove operates from the ground floor of a three-storey listed building, with residential units on the upper floors. Its opening hours were restricted by a condition applied to the grant of its original planning consent, which required the premises to close at 12:30am each night except midnight on Sunday. Given that other venues in close proximity have later opening hours (until 2 am), the effect was simple: the management of The Dancing Grove could only watch with frustration a mass exodus of their customers to nearby competitors, following closing time at 12:30 on Fridays and Saturdays. Pure Town Planning submitted an application for the variation of this condition to extend the opening hours of the premises to 1:30am and Fridays and Saturdays. Despite concerns comments received by local Councillors relating to the amenity of neighbours and representations objecting to the proposal from local residents, we successfully persuaded the Borough of Poole that the extension of opening hours to 1:30am would not cause any harm to the amenities of residential properties above and in the proximity of the application site. Leaving aside issues of fairness and commercial advantage, it can hardly be beneficial to public amenity to have customers leaving in one mass at closing time and heading towards other nearby premises! Are you looking to grow your business and extend your hours of operation? 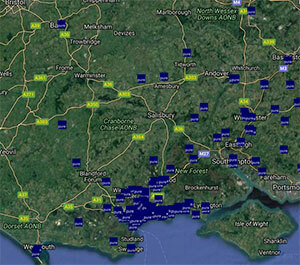 Feel free to give us a call for a confidential, free consultation and find out how we can help you.